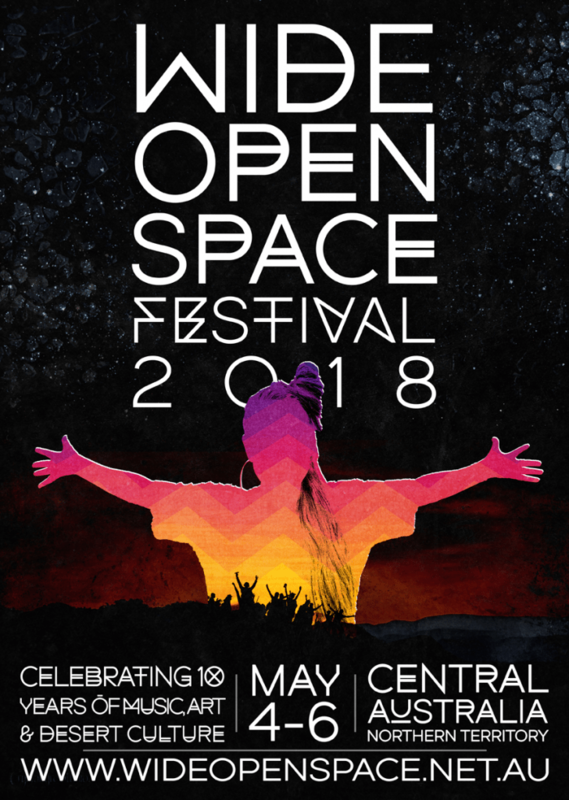 Wide Open Space Festival (WOS) has once again shown it is the most “out there” festival in Australia with an incredibly diverse music announcement for their 10-year celebrations. The festival has built a reputation for presenting innovative acts from across the musical spectrum in a mash-up of styles. From banging Hip Hop, to international electronic flavours, to ruckus thrash rock, to deep acoustic roots vibrations, to hands-in-the-air party jams and everything in between… with a strong NT and Indigenous representation. This is the desert festival with THE LOT! From 9 years of consistently high-impact festivals, WOS has a grown it’s own personality and momentum and now attracts over 2000 people from all over the country. The festival tells an authentic NT story while attracting significant national attendance. In November, WOS won “2016 NT Live Event of the Year” at the inaugural National Live Music Awards. This award recognises the impact the event has had on the local level as well as indicating the national profile that continues to grow.